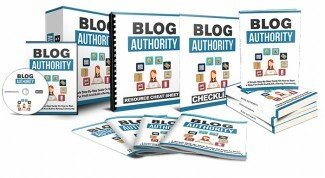 You Now Have Access To Blog Authority Check Your Inbox For The Download Link. It May Take A Few Minutes To Be Delivered. "Now You Can Get Instant Access To 10 HOT Video Tutorials Showing You Blogging Basics And Top Tactics..."
I recorded 10 exclusive, step-by-step video tutorials that'll show you the tools, techniques and my top tips on blogging.